Superyacht designers love their cars – especially these ten. So what car designs inspire them and which motors do they have at home? Elliot March - March & White What was your first car? A BMW Z3. It ticked all the boxes for under £5,000. What did you learn to drive in? Something nondescript with a Ford badge. How many cars do you have? I’m running two. I’m a massive Alfa fan and have a 1967 Alfa Romeo Giulia Super and an Alfa 4C Spider. My friends think I’m mad, but I love the crazy Italians for their pursuit of form over function. What’s your favourite and why? It depends on what’s running! In all seriousness, I’m having lots of fun in the 4C at the moment – it’s absolutely bonkers, but it’s the most fun and best-handling car I’ve owned. Do you take part in any track days, or classic car shows? Living in LA I get to interact with a lot of the local and major car shows on the West Coast. At Pebble Beach Concours d’Elegance you get to see a real mix of both US and European cars, plus there are always local meet-ups with the Alfa Club. Do you have any favourite marques? Myself and my business partner James [White] are huge fans of Aston Martin, both in terms of the cars and the way they think about their global brand. We can’t say any more at this point, but watch this space… Which car pushes the boundaries of design in your opinion? The Fiat Abarth 2000 from the 1960s was one of the first cars to use angular sloping lines in place of the usual flowing designs of the 1960s. Its shape influenced other manufacturers’ designs, including supercars like the Lamborghini Countach. What’s the most fabulous car you’ve ever been in? The Rolls-Royce Phantom Drophead. I likened it to driving a very expensive slipper. Who or which brand would you ideally get to build or fit out a car for you and why? The forward yet retro ethos of Singer Vehicle Design combined with an interior by Bottega Veneta. That would be epic. What has car design learnt from the superyacht world, or vice versa? The bespoke materials and artisans that we use for the interiors of superyachts are now coming into the interiors of luxury automotive vehicles such as the new Rolls-Royce Ghost. For us, we are learning from the automotive industry how to integrate technology, ergonomics and bespoke finishes in confined spaces. Superyacht designers love their cars – especially these ten. So what car designs inspire them and which motors do they have at home? A BMW Z3. It ticked all the boxes for under £5,000. What did you learn to drive in? Something nondescript with a Ford badge. I’m running two. 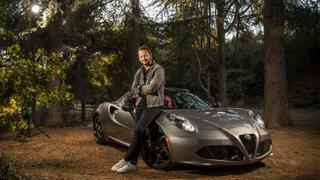 I’m a massive Alfa fan and have a 1967 Alfa Romeo Giulia Super and an Alfa 4C Spider. My friends think I’m mad, but I love the crazy Italians for their pursuit of form over function. What’s your favourite and why? It depends on what’s running! In all seriousness, I’m having lots of fun in the 4C at the moment – it’s absolutely bonkers, but it’s the most fun and best-handling car I’ve owned. Do you take part in any track days, or classic car shows? Living in LA I get to interact with a lot of the local and major car shows on the West Coast. At Pebble Beach Concours d’Elegance you get to see a real mix of both US and European cars, plus there are always local meet-ups with the Alfa Club. Do you have any favourite marques? Which car pushes the boundaries of design in your opinion? The Fiat Abarth 2000 from the 1960s was one of the first cars to use angular sloping lines in place of the usual flowing designs of the 1960s. Its shape influenced other manufacturers’ designs, including supercars like the Lamborghini Countach. What’s the most fabulous car you’ve ever been in? The Rolls-Royce Phantom Drophead. I likened it to driving a very expensive slipper. Who or which brand would you ideally get to build or fit out a car for you and why? The forward yet retro ethos of Singer Vehicle Design combined with an interior by Bottega Veneta. That would be epic. What has car design learnt from the superyacht world, or vice versa? The bespoke materials and artisans that we use for the interiors of superyachts are now coming into the interiors of luxury automotive vehicles such as the new Rolls-Royce Ghost. For us, we are learning from the automotive industry how to integrate technology, ergonomics and bespoke finishes in confined spaces. What was your first car? A 1974 Mini, which I souped up with bucket seats. Then I had another 1966 Mini, which I rebuilt. What were the cars that you always aspired to own back then? A Porsche 911 and a Lamborghini Countach. What cars have you got now? I’ve got a seven-year-old Porsche 993; that was my daily drive for many years. At the minute, though, it’s a Twisted Defender with all the black details and a black roll cage. My Ford GT40, which I’ve had for four years now, is a hand-built replica and they’re quite a handful but so entertaining – so loud you get a headache. 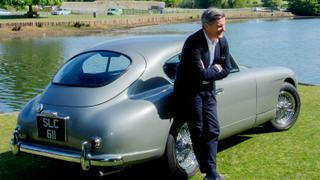 A lot of superyacht designers extol the virtues of Porsches. Why do you think that is? It’s got a classic teardrop shape. Most cars are a three box design where you have a box at the front, a box at the back and a box in the middle, but the Porsche floats off into nothing at the back. Also the sculpting of the wheel arches means you’ve got a lot of form to it. And then you’ve got an amazing engine. Do you do any track days? Yes, we do track days in Europe. The problem I have had on UK tracks is my car is too loud – the GT40 keeps failing the noise test. Are there any other marques you like? I suppose it would have to be Aston Martin, just for the way it can produce something like the Zagato DB4GT, which is pure sculpture and is an amazing shape. What’s your favourite decade for car design? I’d say the 60s, maybe the old Porsches, Jaguars and Ferraris, especially the 1960 GT SWB. Or perhaps Roger Moore’s Lotus Esprit; it’s a nostalgia thing. What do you think car designers have learnt from yacht designers, and vice versa? Cars have been developing faster, with electric drive and hybrids, and yachts are starting to go that way now. But for me as a designer, I don’t look at any other boats because there’s not many out there I like. I look to inspiration from automotive design. Say for [98 metre Abeking & Rasmussen] Aviva, I looked at the Lamborghini Sesto Elemento, and I liked its special faceted shapes. Also the Audi R8; some of the graphic elements of it, such as the blades up its side, influenced Mogambo. A 1974 Mini, which I souped up with bucket seats. Then I had another 1966 Mini, which I rebuilt. What were the cars that you always aspired to own back then? A Porsche 911 and a Lamborghini Countach. What cars have you got now? I’ve got a seven-year-old Porsche 993; that was my daily drive for many years. At the minute, though, it’s a Twisted Defender with all the black details and a black roll cage. My Ford GT40, which I’ve had for four years now, is a hand-built replica and they’re quite a handful but so entertaining – so loud you get a headache. A lot of superyacht designers extol the virtues of Porsches. It’s got a classic teardrop shape. Most cars are a three box design where you have a box at the front, a box at the back and a box in the middle, but the Porsche floats off into nothing at the back. Also the sculpting of the wheel arches means you’ve got a lot of form to it. And then you’ve got an amazing engine. Do you do any track days? Yes, we do track days in Europe. 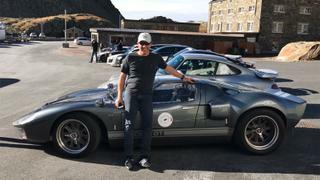 The problem I have had on UK tracks is my car is too loud – the GT40 keeps failing the noise test. Are there any other marques you like? I suppose it would have to be Aston Martin, just for the way it can produce something like the Zagato DB4GT, which is pure sculpture and is an amazing shape. What’s your favourite decade for car design? I’d say the 60s, maybe the old Porsches, Jaguars and Ferraris, especially the 1960 GT SWB. Or perhaps Roger Moore’s Lotus Esprit; it’s a nostalgia thing. What do you think car designers have learnt from yacht designers, and vice versa? Cars have been developing faster, with electric drive and hybrids, and yachts are starting to go that way now. But for me as a designer, I don’t look at any other boats because there’s not many out there I like. I look to inspiration from automotive design. Say for [98 metre Abeking & Rasmussen] Aviva, I looked at the Lamborghini Sesto Elemento, and I liked its special faceted shapes. Also the Audi R8; some of the graphic elements of it, such as the blades up its side, influenced Mogambo. What are the cars you admired growing up? The Jaguar XK120 and D-Type Jaguar. What are your favourite marques? Jaguar and Aston Martin. What do you particularly like about the cars you own? Primarily I love their shapes, however the six-cylinder engine in the XK120 is an amazing basic machine that can be powered up and modified from the original 180 to 345hp, which says a lot for its core engineering. Which car encapsulates style or classic design? The E-Type Jaguar. When do you drive your cars? On special occasions like the Goodwood Revival or similar car fest get-togethers. My XK120 does not have a roof and I love the wind in my hair! Which designers or film stars are the icons of the car world in your eyes, or sparked your love of car design? Icon wise it has to be Steve McQueen in Bullitt driving a Ford Mustang. Not only was he a great actor, he was also a very competent race driver. If your garage was on fire, which car would you save? Common sense would say the most valuable but that would not be the one I love the most. I guess I would save the one that starts on the button! Where do you like to drive? The country roads around Yorkshire are amazing. I would love to do a tour of the west coast of America. How has superyacht design influenced the car world? I don’t think yacht design has influenced cars but we could teach car designers not to make dashboards that reflect in the windscreen. What are the cars you admired growing up? The Jaguar XK120 and D-Type Jaguar. What are your favourite marques? What do you particularly like about the cars you own? Primarily I love their shapes, however the six-cylinder engine in the XK120 is an amazing basic machine that can be powered up and modified from the original 180 to 345hp, which says a lot for its core engineering. Which car encapsulates style or classic design? When do you drive your cars? On special occasions like the Goodwood Revival or similar car fest get-togethers. 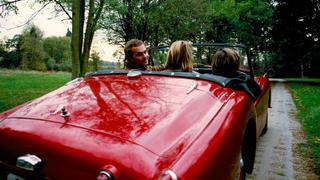 My XK120 does not have a roof and I love the wind in my hair! 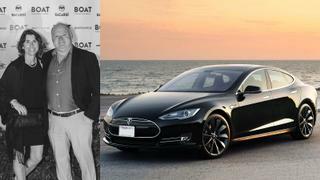 Which designers or film stars are the icons of the car world in your eyes, or sparked your love of car design? Icon wise it has to be Steve McQueen in Bullitt driving a Ford Mustang. Not only was he a great actor, he was also a very competent race driver. If your garage was on fire, which car would you save? Common sense would say the most valuable but that would not be the one I love the most. I guess I would save the one that starts on the button! Where do you like to drive? The country roads around Yorkshire are amazing. I would love to do a tour of the west coast of America. How has superyacht design influenced the car world? I don’t think yacht design has influenced cars but we could teach car designers not to make dashboards that reflect in the windscreen. What was your first car? A 1972 Alfa Romeo GT Junior – a gem of a car, designed by one of the world’s finest car designers, Giorgetto Giugiaro. How many cars do you have? A 2015 Aston Martin Rapide – it’s ex Aston Martin CEO Ulrich Bez’s car, built in a unique colour scheme of a dark inky deep blue with saddle colour interior – utterly classic and unrepeatable; a 2017 Range Rover Velar; a 2016 Land Rover Defender, which was purchased before the line stopped (we’re helping do something about that); a 1957 Aston Martin DB2/4, a truly captivating example of British automotive craftsmanship; and finally a 1967 Fiat 500, which is a perfectly designed and engineered little car. Describe your ideal journey. The RWD Auto Tours have all been unique. A travelling “camaraderie” of friends, immaculately looked after, travelling beautiful roads, relishing truly memorable journeys together. The annual ascent to the crest of Mont Ventoux in Provence, as the sun rises over the vineyards, takes some beating. Do you take part in any track days or classic car shows? Very few, but the exceptional gentlemen of Y.CO took a group of us onto the historic track at Goodwood, in a collection of classic race cars – an experience I will never better! Which car pushes the boundaries of design in your opinion? A car that has captivated me since I was a child, the Bugatti Royale. Was there any particular person who inspired your love of cars? 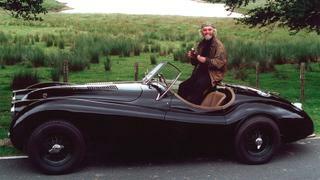 My father, who expertly restored vintage grand prix Bugattis for a great part of his life. Brilliantly. Which marque or car designer has or had the potential to be a stylish superyacht designer? I should have liked to have seen what Giugiaro might have created. It would have been restrained perfection. What has car design learnt from the superyacht world, or vice versa? Where both disciplines do learn from each other is [in] how to celebrate the sense of travel, the search for the most perfect environment to be transported from one place to another, the creation of a bespoke journey, short or long, land based or at sea. A 1972 Alfa Romeo GT Junior – a gem of a car, designed by one of the world’s finest car designers, Giorgetto Giugiaro. A 2015 Aston Martin Rapide – it’s ex Aston Martin CEO Ulrich Bez’s car, built in a unique colour scheme of a dark inky deep blue with saddle colour interior – utterly classic and unrepeatable; a 2017 Range Rover Velar; a 2016 Land Rover Defender, which was purchased before the line stopped (we’re helping do something about that); a 1957 Aston Martin DB2/4, a truly captivating example of British automotive craftsmanship; and finally a 1967 Fiat 500, which is a perfectly designed and engineered little car. The RWD Auto Tours have all been unique. A travelling “camaraderie” of friends, immaculately looked after, travelling beautiful roads, relishing truly memorable journeys together. The annual ascent to the crest of Mont Ventoux in Provence, as the sun rises over the vineyards, takes some beating. Do you take part in any track days or classic car shows? Very few, but the exceptional gentlemen of Y.CO took a group of us onto the historic track at Goodwood, in a collection of classic race cars – an experience I will never better! A car that has captivated me since I was a child, the Bugatti Royale. Was there any particular person who inspired your love of cars? My father, who expertly restored vintage grand prix Bugattis for a great part of his life. Brilliantly. Which marque or car designer has or had the potential to be a stylish superyacht designer? I should have liked to have seen what Giugiaro might have created. It would have been restrained perfection. Where both disciplines do learn from each other is [in] how to celebrate the sense of travel, the search for the most perfect environment to be transported from one place to another, the creation of a bespoke journey, short or long, land based or at sea. What was your first car? It was pile of junk – a Vauxhall Viva that cost £100 around 1977. What were the cars you always wanted? 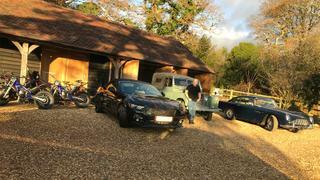 Well, it was the E-Type Jags and Aston Martin DB5s. How many cars do you own? An Aston DB5 from 1965; that takes a lot of looking after and I don’t drive it much. But my daily drives are Land Rovers, I’ve got four of them – three Series 2s and a more modern Defender. What do you love about them? The Aston was one of the Grand Tourers of its time, while the Land Rovers are pure form follows function. I love the look of them. It wasn’t styled and is the opposite of what we do really – it was engineered to the shape it’s in. What motivated you to buy the cars you have? I buy classic cars because they go up in value, whereas if you buy a new supercar, the chances are it’s going to devalue. I bought my Aston Martin 10 years ago, which was a very good move. Where’s your favourite place to drive? I’m more of a picnic hamper guy going down to Cornwall on the English roads, country pubs. I just enjoy the car, the drive, the destination. Which modern cars would you like to own? Probably a Ferrari or a McLaren 720S or Lamborghini Huracán. My young son’s really into the supercars so I take him to Goodwood Festival of Speed, and he loves it. Do you think the car world and the yacht world are connected in any way from a design perspective? A car is a mass produced item that has to fulfil many different requirements, but when you’re talking about Rolls-Royces, then you’re talking about high levels of finishes and quality so they are looking to the yacht world. Exterior-wise, there’s not much that car designs have taken from the yacht world but probably more for materials and styling, trying to replicate the opulence of a superyacht. Maybe Mark [Smith, director at Michael Leach] and I could do that one day, style somebody’s car, maybe befriend an owner and be given the opportunity to style his Ferrari. That would be fun, wouldn’t it? It was pile of junk – a Vauxhall Viva that cost £100 around 1977. What were the cars you always wanted? Well, it was the E-Type Jags and Aston Martin DB5s. An Aston DB5 from 1965; that takes a lot of looking after and I don’t drive it much. But my daily drives are Land Rovers, I’ve got four of them – three Series 2s and a more modern Defender. The Aston was one of the Grand Tourers of its time, while the Land Rovers are pure form follows function. I love the look of them. It wasn’t styled and is the opposite of what we do really – it was engineered to the shape it’s in. What motivated you to buy the cars you have? I buy classic cars because they go up in value, whereas if you buy a new supercar, the chances are it’s going to devalue. I bought my Aston Martin 10 years ago, which was a very good move. Where’s your favourite place to drive? I’m more of a picnic hamper guy going down to Cornwall on the English roads, country pubs. I just enjoy the car, the drive, the destination. Which modern cars would you like to own? Probably a Ferrari or a McLaren 720S or Lamborghini Huracán. My young son’s really into the supercars so I take him to Goodwood Festival of Speed, and he loves it. Do you think the car world and the yacht world are connected in any way from a design perspective? A car is a mass produced item that has to fulfil many different requirements, but when you’re talking about Rolls-Royces, then you’re talking about high levels of finishes and quality so they are looking to the yacht world. Exterior-wise, there’s not much that car designs have taken from the yacht world but probably more for materials and styling, trying to replicate the opulence of a superyacht. Maybe Mark [Smith, director at Michael Leach] and I could do that one day, style somebody’s car, maybe befriend an owner and be given the opportunity to style his Ferrari. That would be fun, wouldn’t it? What was your first car? My first one would have been my father’s 1976 Series 3 Land Rover. How many have you got in your collection? I’ve got four Porsches, an Aston, three Land Rovers – a Series 3, a Defender and a Series 2 (lightweight ex-Army with a V8 engine in it) – a Mercedes SL500, a classic Range Rover… oh, and I’ve got an Alfa GTV6 under rebuild. Which one would you save from a fire? It would be one of the Porsches, the 911 GT3 RS. It is the most modern and valuable one so I’d keep that. Do you have a favourite route or road you like to drive them on? For the last three years I’ve organised a tour down to Monaco going over the Alps… anything over those passes is unbelievable. What is it about Porsches that designers appreciate? I think they’re a classic design, but we also appreciate the shape. At the same time, they’re not flash like a Ferrari. You can drive it hard, all day, every day, and they don’t break; they’re just a reliable car. Is there any particular celebrity or cultural icon who made cars look great? There’s a lot of obvious ones – Sean Connery and the Aston Martin – but I think for me it would have to be Roger Moore in his 2CV or even with his Lotus Esprit. Do you see any similarity between yacht design and car design? A lot of yacht designers are actually frustrated car designers. You see a lot more 3D design and surfacing in superyacht design and a lot of that comes from an interest in the car industry. If anything they’re learning more from us. The top-end car companies are now looking to the yacht industry because they see it as a marketing connection. They’re trying to muscle in on our scene – put some wood decking on the back and extract a bit of the yachting magic. My first one would have been my father’s 1976 Series 3 Land Rover. I’ve got four Porsches, an Aston, three Land Rovers – a Series 3, a Defender and a Series 2 (lightweight ex-Army with a V8 engine in it) – a Mercedes SL500, a classic Range Rover… oh, and I’ve got an Alfa GTV6 under rebuild. Which one would you save from a fire? It would be one of the Porsches, the 911 GT3 RS. It is the most modern and valuable one so I’d keep that. Do you have a favourite route or road you like to drive them on? For the last three years I’ve organised a tour down to Monaco going over the Alps… anything over those passes is unbelievable. What is it about Porsches that designers appreciate? I think they’re a classic design, but we also appreciate the shape. At the same time, they’re not flash like a Ferrari. You can drive it hard, all day, every day, and they don’t break; they’re just a reliable car. Is there any particular celebrity or cultural icon who made cars look great? There’s a lot of obvious ones – Sean Connery and the Aston Martin – but I think for me it would have to be Roger Moore in his 2CV or even with his Lotus Esprit. Do you see any similarity between yacht design and car design? A lot of yacht designers are actually frustrated car designers. You see a lot more 3D design and surfacing in superyacht design and a lot of that comes from an interest in the car industry. If anything they’re learning more from us. The top-end car companies are now looking to the yacht industry because they see it as a marketing connection. They’re trying to muscle in on our scene – put some wood decking on the back and extract a bit of the yachting magic. How many cars do you currently have? Four too many! My fifth is a Tesla P85 (above) and that’s all that I need. It has fantastic acceleration, it handles amazingly and is beautifully quiet inside and out. The only thing I would replace it with is the new Tesla Roadster. Which marque pushes the boundaries of design? Rolls-Royce — its output has to strike a balance between brand heritage and brand refreshment. I think they do it masterfully. Who inspired your love of cars? Briggs Cunningham, the legendary American car and boat racer. I was so inspired by him that I named one of my sons after him. What has the superyacht world learned from the car industry? I have always thought that car trends were followed in the yacht industry by about five years. But now I think that yacht designs are starting to be very progressive and are closing the gap. I am keen to see how superyachts follow a fully electric path. How many cars do you currently have? Four too many! My fifth is a Tesla P85 (above) and that’s all that I need. It has fantastic acceleration, it handles amazingly and is beautifully quiet inside and out. The only thing I would replace it with is the new Tesla Roadster. Which marque pushes the boundaries of design? Rolls-Royce — its output has to strike a balance between brand heritage and brand refreshment. I think they do it masterfully. Who inspired your love of cars? Briggs Cunningham, the legendary American car and boat racer. I was so inspired by him that I named one of my sons after him. What has the superyacht world learned from the car industry? I have always thought that car trends were followed in the yacht industry by about five years. But now I think that yacht designs are starting to be very progressive and are closing the gap. I am keen to see how superyachts follow a fully electric path. What do you like about the cars you own? We own three cars. One is an SUV – the Kia Sportage – and the other two are a Mercedes C42 AMG convertible and an Aston Martin Vantage. 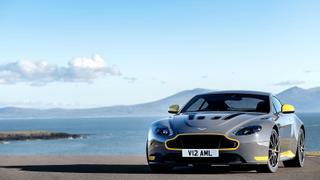 Both are fun cars to drive, fast and agile, but the Aston is a car that grows as the speed increases. The faster you go the more natural it feels; it glues to the road. Which car encapsulates style or classic design for you? The original Bugatti models, no question. Perfect proportions and perfect mechanics. We also have to mention the Mercedes 540K Spezial Roadster – forever beautiful. Does yacht design borrow from car design, or is it the other way round? I don’t think car design translates well to yachts. First there’s the matter of scale – I can see beauty on a large white surface, perfectly fair and glossily finished, and a car just cannot compete with that. Secondly, yacht designers deal mostly with lines first and surfaces later and car designers deal mostly with surfaces and volumes. What do you like about the cars you own? We own three cars. One is an SUV – the Kia Sportage – and the other two are a Mercedes C42 AMG convertible and an Aston Martin Vantage. Both are fun cars to drive, fast and agile, but the Aston is a car that grows as the speed increases. The faster you go the more natural it feels; it glues to the road. Which car encapsulates style or classic design for you? The original Bugatti models, no question. Perfect proportions and perfect mechanics. We also have to mention the Mercedes 540K Spezial Roadster – forever beautiful. Does yacht design borrow from car design, or is it the other way round? I don’t think car design translates well to yachts. First there’s the matter of scale – I can see beauty on a large white surface, perfectly fair and glossily finished, and a car just cannot compete with that. Secondly, yacht designers deal mostly with lines first and surfaces later and car designers deal mostly with surfaces and volumes. What do you like about the cars you own? My 1972 De Tomaso Pantera has the finest “hindquarters” of any car ever conceived, and was designed to “look like she’s about to pounce!” Which car encapsulates style for you? 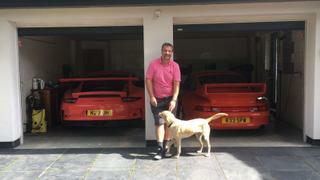 I drove a Porsche 928 while working for Jon Bannenberg in the 1990s – it was Tim Heywood’s hand-me-down! It was fast, with a gorgeous sounding V8. The body was aggressive, using only soft faceted forms and beveled edges. Have the boundaries between yacht and car design become blurred? Successful design requires the same process – problem definition followed by rigorous evaluation. Cars and yachts are also heaped in emotions; they move us in this life. That power to move us is a part of the equation for any successful design. Which car encapsulates style for you? I drove a Porsche 928 while working for Jon Bannenberg in the 1990s – it was Tim Heywood’s hand-me-down! It was fast, with a gorgeous sounding V8. The body was aggressive, using only soft faceted forms and beveled edges. Have the boundaries between yacht and car design become blurred? Successful design requires the same process – problem definition followed by rigorous evaluation. Cars and yachts are also heaped in emotions; they move us in this life. That power to move us is a part of the equation for any successful design. What car did grow up with? My parents used to drive a pimped-up International Scout with wooden side panels. It was always filled with children – and not a seat belt in sight. What cars do you currently own? I only have one – a white BMW X5. What do you like about it? My X5 is reliable and the service techs take good care of me. My normal morning routine consists of loading the car with my dogs to head to the office after my workout. What has the superyacht world learned from the car industry? The superyacht design world is slowly embracing the car industry’s ideal of fuel economy and a reduced carbon footprint. We also can learn from how the car industry utilises luxury craftsmanship and comfort in the minimum space. What car did grow up with? My parents used to drive a pimped-up International Scout with wooden side panels. It was always filled with children – and not a seat belt in sight. I only have one – a white BMW X5. My X5 is reliable and the service techs take good care of me. 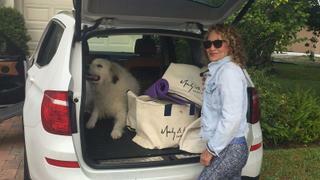 My normal morning routine consists of loading the car with my dogs to head to the office after my workout. The superyacht design world is slowly embracing the car industry’s ideal of fuel economy and a reduced carbon footprint. We also can learn from how the car industry utilises luxury craftsmanship and comfort in the minimum space.